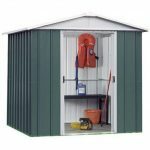 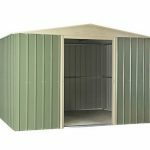 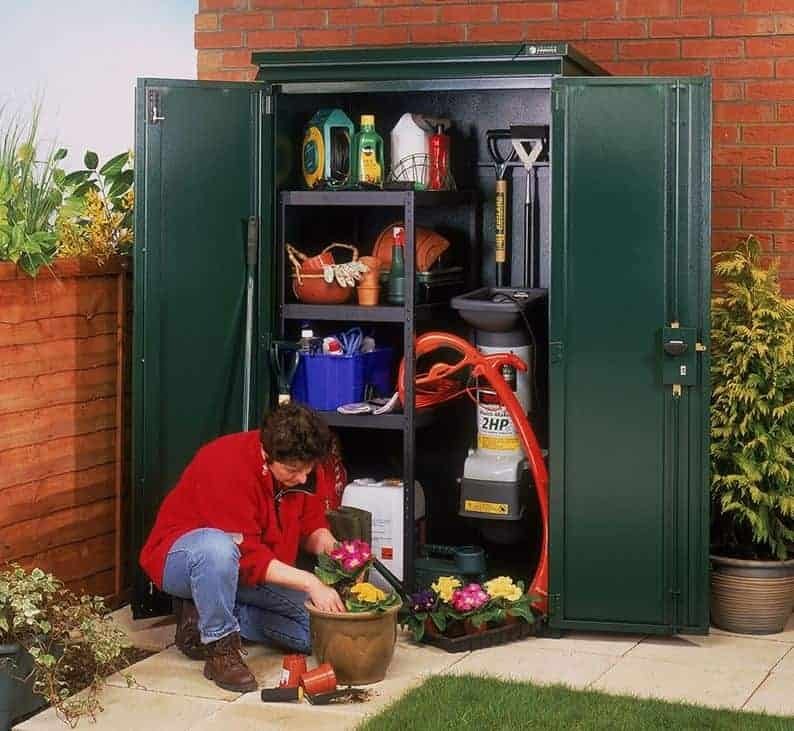 This compact metal shed has plenty of spaciousness inside it that allows you to store lots of items that come with your garden. 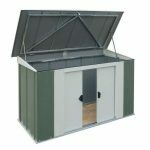 The main feature of the shed is a galvanised steel construction. 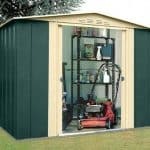 This is not only tough thanks to the steel, but is also rust resistant, which means that you have a shed that will last for a very long time indeed. 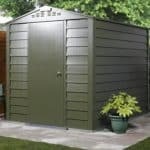 The shed has a 10-year guarantee against rust perforation, which brings you extra peace of mind. 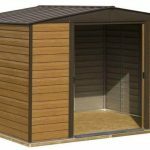 This building is completely waterproof and a tough construction to have in your garden.